Kinsley provided construction management services for an addition and renovations to the Willman Business Center. The building addition included five floors plus a basement. Renovations took place across three floors and the basement of the existing building. A NASDAQ Financial Trading Lab with a multi-screen touch display, large-screen computer workstations, raised flooring, and a full-height interior glass wall. 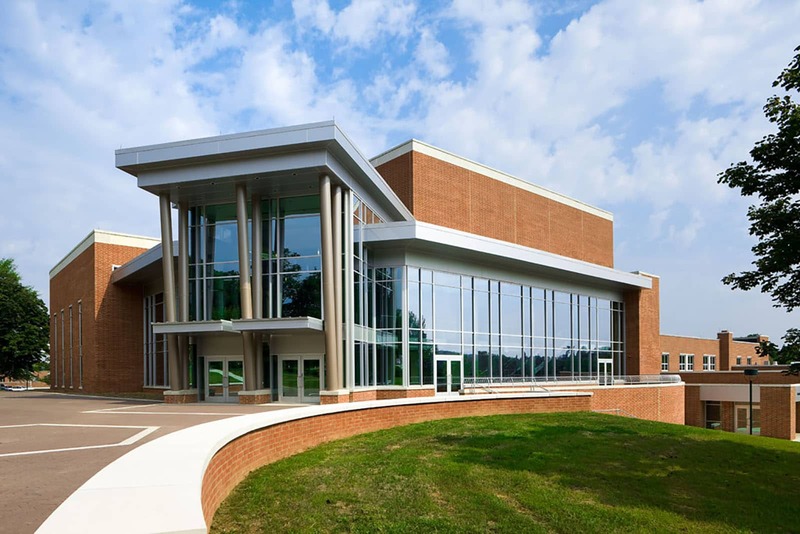 A multi-tiered 180-seat lecture hall with fixed seating, an A/V room, a projection screen, and custom light fixtures intermixed with acoustic paneling. A three-story glass and aluminum curtainwall that provides views of the campus and surrounding area. A fifth-floor multipurpose room with sloped ceilings, warming kitchen, balcony, and exterior glass walls that provide a 360-degree view. An outdoor mall area which includes an amphitheater-style gathering space. A contemporary metal-clad finish on the east elevation. This project received an ABC Keystone Award of Excellence.